A career in accounting is no cake walk. If you’re feeling overwhelmed and stressed, this article will give you some great accounting tips. The end of the tax year, handling new employee benefits, and keeping on top of accounts receivable: an accountant’s work is never done. That’s why 48 percent of US accountants reported that they feel stressed in their job. Layoffs, tight budgets, and a responsibility to manage cash flow in a tricky economy all contributed to that, too. 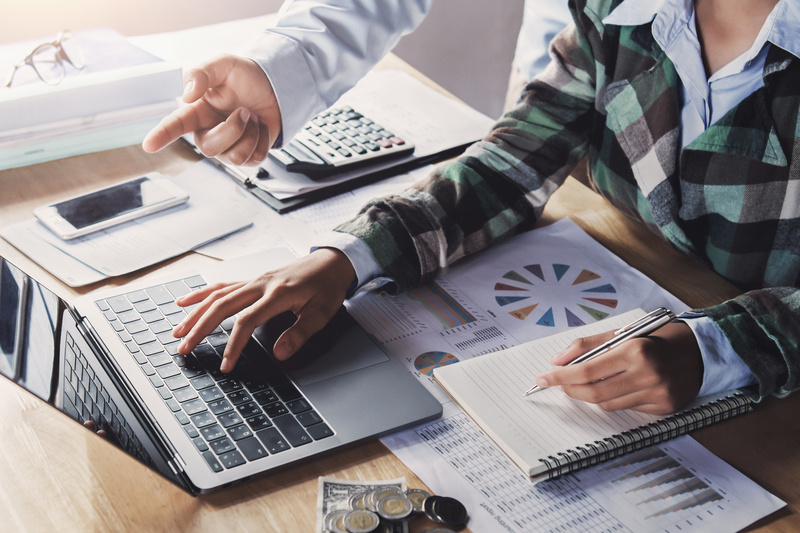 Whether you’re a small business owner doing your own accounting, or you’re managing your first financial department, there are bound to be stressful times ahead. It’s not all doom and gloom, though! Here are some awesome accounting tips to help you manage the day-to-day and seasonal stress of your finance job. There is nothing worse than wasting a lot of time hunting down an invoice or receipt. Keep your books in balance with software that allows you to upload receipts, manage invoices, and even delivers reports on demand. There are plenty of services out there tailored to small business owners and accountants, such as Freshbooks or AndCo. Struggling to get your head around individual pay stubs? The sums, taxes, and state requirements can make the end of every month a stressful period. A pay stub generator takes the headache out of the monthly administration. It calculates everything for you, so all you need to do is download the stub and print it for your employee! Set a time aside every week to audit and reconcile your accounts. Doing this regularly will stop it mounting into an overwhelming task. As well as auditing your accounts on a weekly process, consider using an accounts receivables service to alleviate your stress. These services are dedicated to only following up outstanding invoices to free up a lot of your time every week. The investment in an accounts receivables service will pay for itself as your cash flow becomes more regular without taking up your time. Be prepared for the annual tax return! Avoid a last-minute headache by updating your knowledge well ahead of the seasonal rush. Make sure you know about every company asset, loan, bank account, and investment so that your tax return is easy to complete. If you’re not sure about your tax relief and liabilities, especially as a startup or small business owner, invest in a consultation with a tax accountant to make sure everything is correct. Put These Accounting Tips to Use! If all of these accounting tips still aren’t helping you sleep at night, never fear! There are plenty of ways you can get a good night’s sleep. In fact, that might be all you need to feel like you can take on your accounting tasks like a pro. Check out this guide to help you get the best night’s sleep of your life!